We know that you have a choice of pest control companies, and we appreciate your consideration. While we are always hard at work improving the quality and range of our services, we know that successful solutions begin with listening and asking questions. We are certified professionals and good listeners. 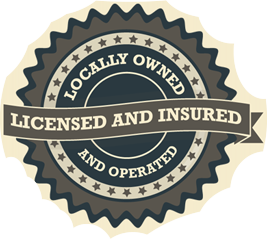 Portage Lakes Pest Control has been committed to excellence since our beginning, over 30 years ago. Since then we have built a quality company with the experience and equipment to handle clients from homeowners, apartment complex’s, condos, restaurants and commercial buildings. The company’s focus on service has allowed us to continue to grow year after year. We use the latest baiting and residual methods to safely keep pests out of your home. Portage Lakes Pest Control will conduct a thorough inspection and treatment for the control of the target insect. Safely control bugs in your home or office, call today for an appointment. Click Services above to learn more about our specialties.